Logitech Circle 2 accessory window mount Copyright © 2019 ComXpert International CC - COPYING IS ONLY ALLOWED FOR THE PURPOSE OF SENDING US ENQUIRIES. E&OE. Attach to your Circle 2 Camera and place it on your window to see outdoors. Window Mount works with Circle 2 Wired and Wire-Free. 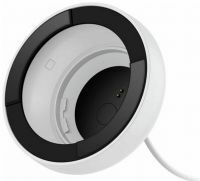 The best price and guaranteed service and backup from official computer suppliers in South Africa for the 961-000438 Logitech Circle 2 accessory window mount. The Logitech 961-000438 Logitech Circle 2 accessory window mount is available for R577. The product is sold by ComX Computers as new. Prices are valid today 2019-04-22 (before 2019-04-23 , by quote, while stocks last). The product is expected to be in stock, although this is not guaranteed. Find related 961-000438 Logitech Circle 2 accessory window mount products in our Camera enclosures & accessories (security) Category for even more options. Read reviews and find out about 961-000438 Logitech Circle 2 accessory window mount. Discounts, specials and cheap prices only at ComX Computers.